Swiss bank UBS has been fined £27.59 million by the Financial Conduct Authority (FCA), the UK’s watchdog, for misreporting 135.8 million transactions. 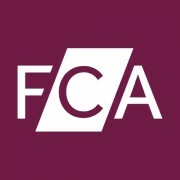 City AM reports that, according to the FCA, the investment bank failed to provide complete and accurate information in relation to 86.6 million reportable transactions. On top of that, it wrongly reported 49.1 million transactions over a period of nine years and six months. An investigation by the FCA also found that UBS didn’t keep their transaction reporting models up to date, meant to help the regulator identify potential market abuse and fight financial crime. Mark Steward, FCA executive director of enforcement and market oversight, says: “Firms must have proper systems and controls to identify what transactions they have carried out, on what markets, at what price, in what quantity and with whom. Originally, the fine was £39.4 million, but once the bank agreed to solve the case, the FCA conceded a 30% reduction. The FCA has fined 12 other banks for transaction reporting breaches including Merrill Lynch, Deutsche Bank, Royal Bank of Scotland and Barclays. In recent months, in France, UBS was declared guilty of illicit solicitation and laundering of the proceeds of tax fraud and given a penalty of €3.7 billion and €15 million respectively and ordered to pay civil damages of €800 million. Last December, the US Financial Industry Regulatory Authority (Finra) fined UBS Financial Services $4.5 million and UBS Securities $500,000 for failing to establish and implement anti-money laundering (AML) programmes to monitor certain high-risk transactions in customer accounts.